Don't know where to start your San Francisco trip? Let us guide you to the 3 best destinations in the city. Being the subject of many films, Alcatraz Island was the most popular prison in San Francisco. The island served as a prison for the most dangerous prisoners between 1848 and 1962 because it was thought to be impossible to escape. The safety measures were strict and the surrounding sea was full of sharks. However, when some prisoners achieved to escape, the Alcatraz prison was closed down in 1962. 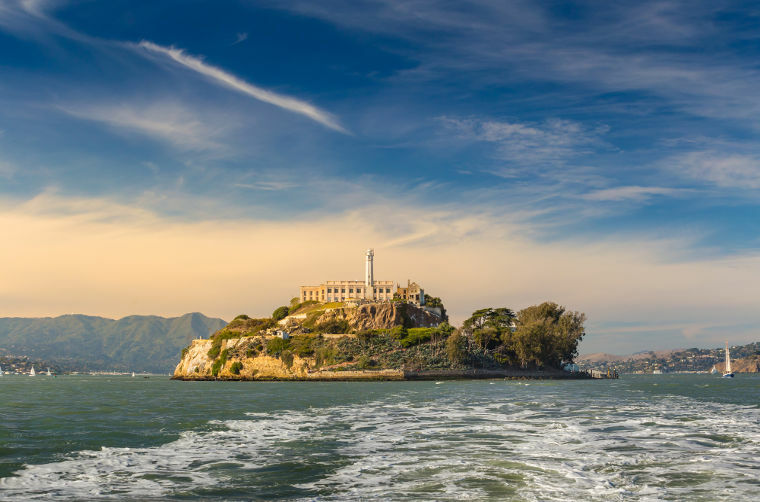 Since then, Alcatraz Island and the Prison was open to visitors as one of the most popular tourist attraction. It is located 2.4 km from the shore of San Francisco and there are many tours that you can take to the island from Pier 39. Serving as a ferry terminal, San Francisco Ferry Building is also one of the most popular addresses in the city for its local market, great restaurants and the shops that sell many things from handicrafts to books or even cookware. While you enjoy the architectural beauty of Ferry Building and the clock tower, you can enjoy shopping at the Ferry Building Farmer’s market especially on Tuesday, Thursday and Saturday. Ferry Building is a place where you and your palate will never want to leave. It is located in Embarcadero and can be reached both by the cable car and the cab. If you wish to eat at the restaurants, you’d better make a reservation (especially for the Slanted Door, the most popular restaurant in the city) or it becomes impossible for you to even go inside. Pier 39 is probably the most populous and popular place in San Francisco. This pier is located on the ocean and it is famous for numerous things. On this pier, you can watch the sea lions, taste some delicious seafood, visit Hard Rock Café or join the festivals or other kinds of events that are held in Pier 39. Besides all these, Pier 39 is the place where offers the best view of the legendary Alcatraz Island. From Pier 39, you can join the tours to the island or to the Golden Gate. Shopping is another popular activity at Pier 39 because there are more than 100 shops that sell anything from left-handed items to handicrafts in the area. Pier 39 will definitely be the place where you will live your best day in San Francisco.